When buying a home make sure that you have the right team to walk you thru the process; providing you with knowledge, great customer service and competitive pricing. To offer a hassle-free mortgage process, through excellent communication, extensive knowledge, sincere care and loyalty for each and every family or referral partner we work with. In doing so, we provide our employees with a trustworthy and enjoyable working environment. 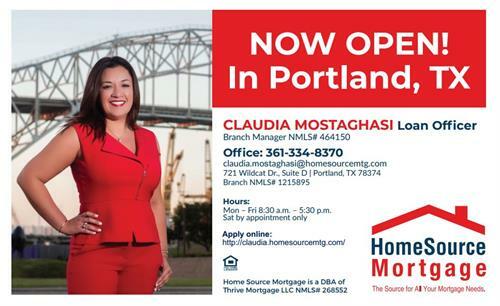 Claudia, originally from Monterrey, Mexico, was already a well-established mortgage lender in the Corpus Christi area with 15 years of banking experience when she opened her own branch. HomeSource Mortgage opened its doors in April 2015 and has quickly become known as "The Source for All Your Mortgage Needs." HomeSource Mortgages' business model is based upon excellent communication and that is something Claudia strives for every time someone walks through the door. 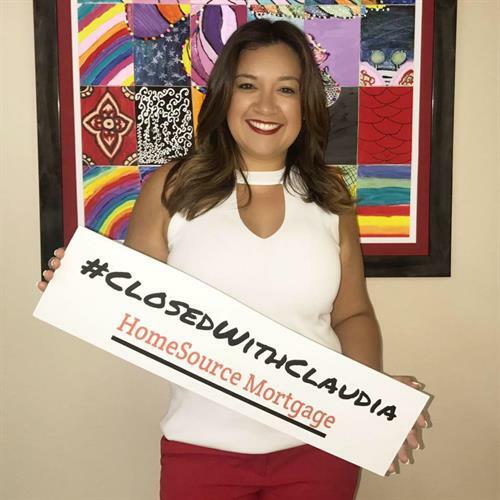 Claudia doesn't believe that our job is simply to "generate loans" but that it is to help our customers achieve their dreams of owning their own home. Claudia says her passion for her work comes from the satisfactions she gets when she helps a family move into their new home. 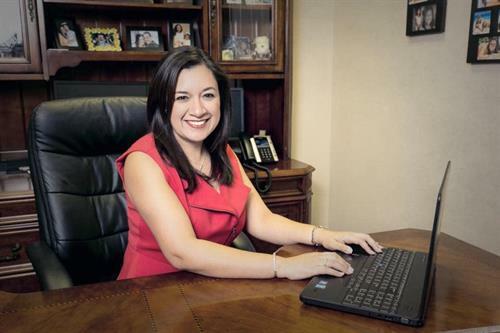 Her hard work and dedication has quickly made her a premier lender for several referral partners in the Coastal Bend area. HomeSource Mortgage "The source for all your mortgage needs"
From Corpus Christi: Take US 181 to Portland, exit Wildcat Dr., then right at the light. Left at E. Broadway, right on Wildcat Dr. We are at the corner of Wildcat Dr and Seventh Ave.